Salman Khan was a hedge-fund manager but there’s not a teacher on the planet who wouldn’t benefit from his views on learning. Khan has recorded 2200 educational videos and over million are viewed a month. How did he get started? By tutoring his cousins in maths. Eventually, they told hm that they preferred his YouTube lectures to him in person. From their point of view it makes sense – they can stop and review things when they want, do things at their own pace, do it when it's convenient. More importantly, the very first time you try to understand something, the last thing you need is a hovering human presence or teacher. You need time to reflect, ponder, get to grips with the ideas. I have had exactly the same experience in tutoring in maths. I started in person, migrated to Skype and now favour this more distanced approach, where the actual tutoring is the application, not exposition of the knowledge. Khan’s trick, is something I’ve believed in for years. Don’t use technology in the classroom, use it before and after, outside of the classtoom. Classrooms were never designed for technology, apart, perhaps, for Whiteboards. But the danger with whiteboards is that they reinforce talking at students and ‘lecturing’. Flip the classroom. Assign the short talks for homework, THEN use the classroom for the application of the concepts. The net result is that you humanise the classroom. It becomes a place primarily for learning, not teaching. Simple, but like most great ideas - brilliant. He uses another flip technique I’ve always recommended. He takes some of the magic dust from games and apply it to learning. You do short ‘ten in a row’ automated assessments. Get ten in a row right; move on. This simple game pedagogy, along with badges for progress, within a structured knowledge map, allows the students to understand where they are in the learning journey. It also has motivational punch. For Khan, overall summative assessment is all wrong. It’s too little too late. Individual formative assessment is the true driver in education. Traditional assessment penalises failure and doesn’t expect complete mastery. It fails both failing and successful students. To this end his whole system relies on detailed formative data for teachers, data that is both detailed and personal. It’s not classroom guesses or waiting until a final test is completed to see how your students are doing. Every student is tracked and the teacher intervenes appropriately. Note that you can only track every student if the system gathers the data online. So learning and assessment have to be done online. Technology is brilliant at tracking progress as teachers are too busy. Free up their time so that the teacher can teach and assign the strong kids to tutor kids who are struggling. Arms teachers with data and they can focus on the progress of all. The flip has one other major advantage. Flip homework, so that it is done in the classroom and you free teachers from the dreaded marking. They can then focus on the targeted application of knowledge. Traditional classroom teaching becomes homework and homework, classroom activity. Khan gets it. He understands the difference between learning and teaching, between classrooms and self-paced environments between formative and summative assessment, between scalable and non-scalable components in education,. Most of all he is not encumbered with traditional methods and thoughts about whet education needs to be. He also sees the global implications of this scalable solution. The flip creates a global classroom and gives access to education for the poor. Watch this and if you're not convinced tell me why. Classrooms (whether for schools, universities, workplace learning, or conferences) should be a place for conversation and collaboration. It's expensive and inefficient to get a group of people in the same place and then waste that opportunity on something that could equally be done via technology. I totally agree too. I am starting to regard Salman Khan as a sort of hero for his work. The addition of practices with game based incentives is just great. There is a lot of truth in this, but wouldn't students be encouraged to skip the classroom alltogether? Surely the problem with classrooms is disengagement because of the excessive amounts of exposition and talking by teachers. This would energise teachers and students by focusing on formative assessment and the application of knowledge. Great ideas being turned into practice. Lots of things here that caught my attention. My top t hrewere: first, the flipping of classwork and homework - brilliant; second, the clarity of the data by person, by topic; third, the integration of the Khan approach into the school teaching approach also seems key. I saw a piece in Monday's FT (21st March) about Terry Leahy's backing for www.stuckonhomework.com. Looks like a similar idea to the Khan Academy although it didn't seem as integrated. More like something that parents can buy into to help their kids. Good, but doesn't offer, I think, the data feedback loop to the teacher. great post. can't understand why aren't lots more comments on this already. 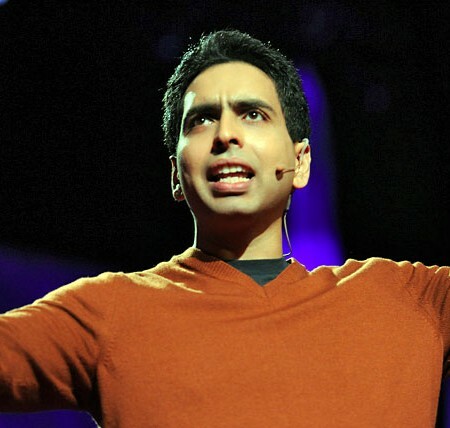 The Khan academy is one of the most innovative approaches to education we have seen. I look forward to seeing how he develops this further. The important thing to remember is that even with all the money available there is still not enough teachers or ability to train up new teachers to be able to educate the 1 billion children globally with no access to education. Technology and ideas such as the Khan Academy for me have to be the future. It is only our deeply (falsely) rooted understanding that all learning takes place in the classroom that has prevented us from reaching out to the people in most need of education. 1. Classroom is where most learning takes place. 2. Teaching is a necessary condition for learning. Ain't enough time, money or talent to satisfy demand. Yesterday the Khanye program in South Africa agreed to launch our Virtual School program (http://goo.gl/K2s97) in September. Will be a very innovative approach to education with a lot of crossovers with what has been done in the Khan Academy. If successful in this pilot will be rolled out quite rapidly across Africa and beyond. Some exciting times are ahead for education!! Me personally no but we have been invited to share Smart's stand. Our CEO and social enterprise director should be there. As an undergraduate student I remember having a mixture of traditional lectures and discussion-based seminars. The problem was if we failed to prepare for the seminar it was a complete waste of time. Our poor lecturer's attempts at stimulating discussion were often met with awkward silence or downward gazes. As this became the pattern I stopped attending the seminars and only attended the lectures. Now as a new lecturer I am intrigued with the idea of flipping. I can see many positives but I remain confused in its practical application. 1. I wonder whether my students would really prepare for classes on top of their assignments (I suspect many wouldn’t either through lack of organization, sheer laziness or they simply don't have time – a lot of my students have child care issues or jobs they have to work around). 2. Can the class-based activities/discussion be justified beyond an apparent pedagogical view but justified from the point of view of the student. Something I have found concerning is that many of my students place value on a module based on the thickness of their resulting lecture notes. If they aren’t producing the notes they frequently do not see the value of the delivery because they are too aware of an upcoming exam. Whilst I’m not a fan of exams or summative assignments, I’ve been dealt with a module handbook where the style of assessment is carved in stone. How then do we shift the value students currently place on passive learning and producing acres of notes to discussion and application? 3. Home based learning is a great idea but if I produced an audio file or a PPT lecture with a voiceover or a video lecture (ignoring the possibility of becoming an overnight internet phenomenon thanks to some scamp’s ‘clever’ editing) could this then expose me to issues of intellectual property rights more than it already does? 4. My last point, how realistic is the idea of flipping for the inexperienced lecturer at a new university? I have a massive teaching load mainly because I am frequently made to teach in areas far beyond my area of expertise. So as always, good things should be done in moderation- I could only hope to flip once in a while. What Khan does is very similar to what ALEKS - the intelligent on-line math learning system - does. It's mastery based, it does frequent formative assessments, the student works through it by getting a few in a row right on each topic (of which there are a couple of hundred in each course) and then, after seeming to master ten or so topics that way, doing another assessment to see if it all hangs together. I've been teaching with it for years; it works great, as Khan's approach seems to also. I like the concept. I like the data. I am cautious about the way in which some educators might see this model as a panacea and start altering their planning to fit into it (rather than planning to fit it in). Taken at face value, there is no way that students can challenge the views expressed by the 'teacher' if solely this model were to be implemented. Where does this provide for a Socratic method to encourage critical thinking? As Sylvia Martinez, president of Generation YES, a nonprofit focusing on technology in the classroom, puts it, “The things they’re doing are really just rote.” Flipping the classroom isn’t an entirely new idea, Martinez says, and she doubts that it would work for most kids: If they can’t understand the lecture in a classroom, they’re not going to grasp it better when it’s done through a video at home. If you aren't that imaginative or talented, by all means flip your class. This is just another attempt to re-invent the education wheel. I'm a Celebrity let me fix your education system!